From the Annals of the U.S. Army – In 1942, Camp Hood near Killeen was activated as a temporary camp in preparation for active operations in World War II. The temporary camp, was named for Confederate general John Bell Hood. The Army initially acquired about 180,000 acres, and it was estimated that the camp would cost $22.8 million for the land, facilities, and development of utilities. The date of completion was set for 15 August 1942. Almost 300 families were displaced by the acquisition. The communities of Clear Creek, Elijah and Antelope were demolished during construction. The base was designed with large open spaces for the training of mobile anti-tank units to be deployed in Europe and elsewhere. Fort Hood is now one of the largest military installations in the world in terms of size and the number of Army and civilian personnel stationed at the site. Fort Hood had a total population of 53,416 as of the 2010 U.S. Census making it the most populous U.S> military installation in the world. 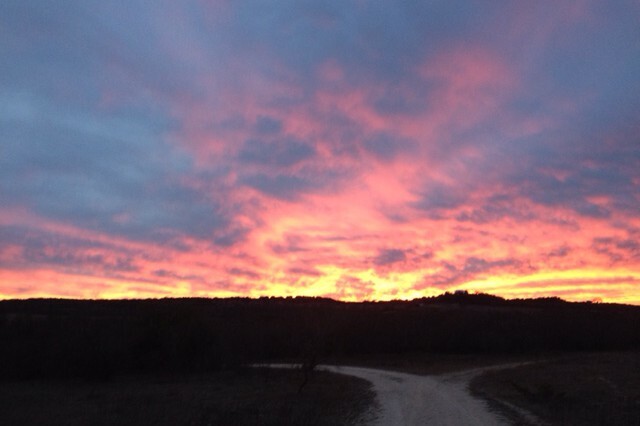 Fort Hood covers 214,000 acres making it one of the largest military bases in the world by area. This entry was posted in Today in Texas History, Uncategorized and tagged Camp Hood, Fort Hood, Killeen, Texas History, Texas Military Bases, Texas Military History, U.S. Army, World War II on January 14, 2019 by Red from Texas. 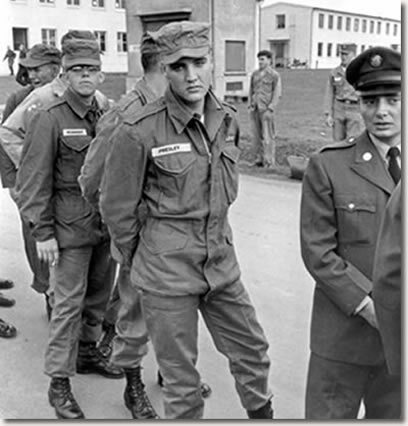 From the Annals of the Army (sort of) – In 1958, recently drafted rock and roll star Elvis Presley arrived at Fort Hood for basic training. He remained stationed at Fort Hood for six months. Presley, along with his manager and illegal alien Col. Tom Parker, made the decision that Elvis would serve as a regular soldier and not as an entertainer in Special Services. Parker did not want Presley performing for free and both decided it would be good for image to not receive special treatment. At Fort Hood, Presley was assigned to Company A of the Third Armored Division’s 1st Medium Tank Battalion and completed basic training by June. He was a pistol sharpshooter, and apparently liked the “rough and tumble” of the tanks obstacle course. He was homesick and did not like the training and was constantly worried about his career. After a short break to record new material in June, Presley returned to Fort Hood to finish his tank training. Soldiers were allowed to live off-post with family, so Elvis rented a house where he lived with his mother, father, grandmother, and friend Lamar Fike. This cheered up the star, but in early August, his mother Gladys began to succumb to her alcoholism and use of diet pills. One afternoon, after a heated argument with her husband Vernon, Gladys collapsed from exhaustion. Presley arranged for her and Vernon to return to Memphis by train on August 8. She died in Memphis on August 14. Elvis was granted emergency leave and was in Memphis when she passed. He returned to Fort Hood about a week later and shipped out for duty in Germany in mid-September. This entry was posted in Today in Texas History, Uncategorized and tagged Elvis Presley, Elvis Presley in the Army, Fort Hood on March 28, 2017 by Red from Texas. The first 25 miles of Interstate 14, or I-14 are nearing completion and will likely be opened near Fort Hood in Killeen before summer. The first segment is a conversion of US 190 to Interstate condition and status. The segment runs west from I-35 in Belton is intended to provide direct access to the main gate at Fort Hood in Killeen. 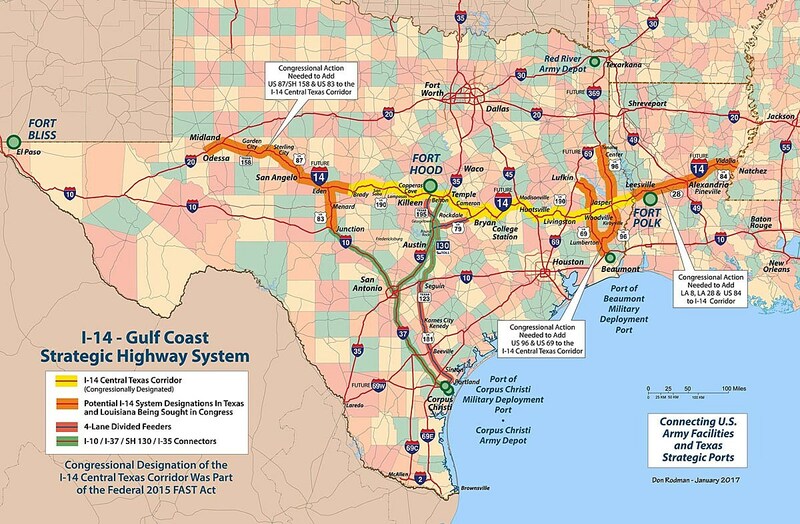 The purported intent of I-14 is to provide improved highway connections between U.S. Army facilities at Fort Hood, Fort Bliss and Fort Polk and the military deployment ports at Beaumont and Corpus Christi. I-14 is the result of the 2015 act of Congress created the Central Texas Corridor generally along the US 190 route. Various groups are pushing for expansion of the project to provide Interstate access to San Angelo and a connection with I-20 in Midland-Odessa. This entry was posted in Texas News, Uncategorized and tagged Central Texas Corridor, Fort Hood, I-14, Interstate 14, Texas Highways on March 22, 2017 by Red from Texas. Guns Don’t Kill People. People with Guns Kill People. The Chicago Tribune relates the sad story of T.J. Antell – a concealed carry owner and former Marine – who was killed in Arlington when he attempted to intervene in a domestic dispute with his gun. The alleged shooter, Ricci Bradden, who was stationed at Fort Hood had been involved in an argument with his wife in the parking lot of a Walgreen’s. Bradden discharged his gun twice striking the ground and hitting his wife in the ankle. Antell rushed to his truck, retrieved his gun and attempted to stop Bradden from fleeing. That’s when Bradden exited his vehicle and shot Antell dead. Now there is a dead father of three and a man who will be charged with murder – none of which had to happen. Red wonders if the gun lobby’s continual rant which spins the compelling fiction that you need a gun at the ready at all times so that you can save yourself or, even better, be a real-life hero when the time comes had any part in this tragic chain of events. This entry was posted in Texas News and tagged Arlington, Conceal Carry, Fort Hood, Riccie Bradden, Second Amendment, T.J. Ansell, Texas Crime on May 3, 2016 by Red from Texas.